Price depends on water test. Stop in or call for free water analysis. New and reconditioned units available. Hard water contains excessive levels of the minerals calcium and magnesium, a condition found in 85% of the United States. Hard water shortens the life of household plumbing and water-using appliances, makes cleaning and laundering tasks more difficult and gradually decreases the efficiency of water heaters. Water picks up some of everything it touches, which is why it cleans so efficiently. When water comes in contact with minerals, it creates “hard water” that causes scale buildup in pipes and water heaters, produces unsightly water stains in bathtubs and fixtures, and leaves behind soapy scum in the shower and on your skin. The Puritan Aquamind Water Conditioner filters out the harmful minerals and chemicals in your water that cause problems for you and your home. The Puritan Aquamind saves you money on the amount of water and salt needed to soften your water. It’s an easy as pre-setting two dials for the time and hardness of the water, and the Aquamind will automatically monitor the needs of the water conditioning system. The Aquamind will only clean the mineral tank when necessary, using less water and salt to clean the system. A Fase’s representative can help solve your water problems. Call Fase’s for cleaner, healthier water for you and your family. Hours of Continuous Soft Water! You Need Clean, Crisp, Great Tasting Water! Water containing iron, manganese, and sulphur is present throughout the country in varying levels of concentration. If these elements remain in your water system, they can damage appliances and your plumbing system. A water conditioner alone is not capable of removing high concentrations of iron, manganese, and sulphur. 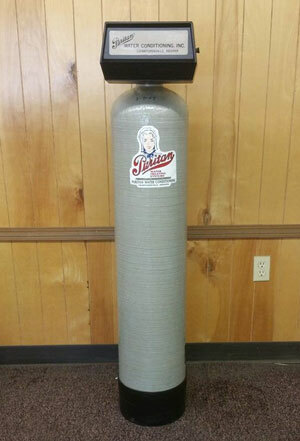 A puritan Iron filter and Potassium Solution Tank will remove the unwanted impurities and improve the quality of your water. Your family will notice the difference that Puritan makes in their lives! 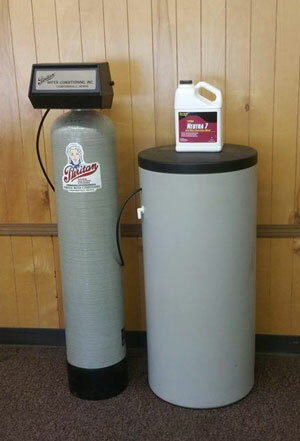 Generally, a filter with one cubic foot of manganese treated greensand regenerated with 2 to 4 ounces of potassium permanganate will work well in most locations. For example, with iron in the range of 3 to 6 parts per million, the filter will need to regenerate every 3 or 4 days in residential applications. It is very important to know the pH level of your water before installing a greensand filter. The pH level must range between 6.8 and 8.0 for the greensand to work. 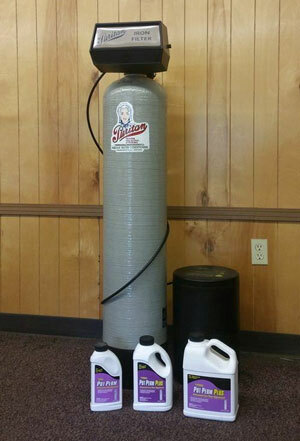 Fase’s Water Conditioning’s Iron Filter and Potassium Solution Tank System will help you and your family have a cleaner, healthier life. A Fase’s representative will analyze your water for impurities and will always be on hand to help you with your Puritan Water System. Fixes Your Brown, Yellow, or Tea-Colored Water Problem! Tannins are a natural organic material that can be the byproducts of nature’s fermentation process, be created as water passes through peaty soil and decaying vegetation. This can cause water to have a faint yellow or tea-like color, and can cause yellow staining on fabrics, fixtures, china and laundry. Tannins may give a tangy or tart aftertaste to water. They may also cause water to have a musty or earthy odor. Tannins -a also known as fulvic or humic acid – are more common in surface water supplies and shallow wells than in deep wells. Water in marshy, low-lying, or coastal areas is also more susceptible to tannins. What can I use to remove Tannins from my water? Common tannin treatment uses an organic scavenging anion exchange resin. 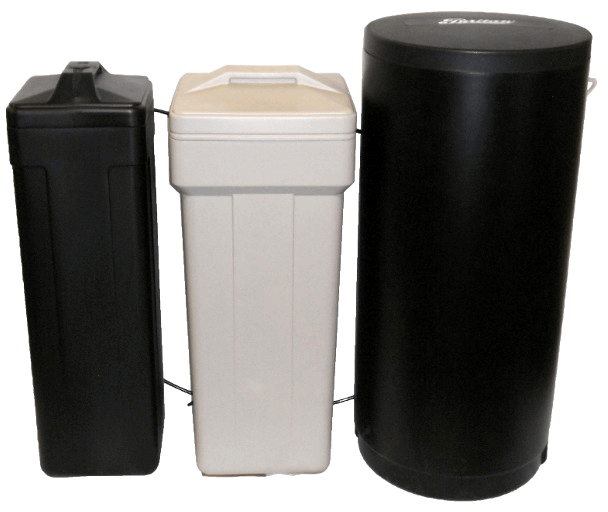 The anion resin is sensitive to hardness, so most systems include a water softener as pretreatment. 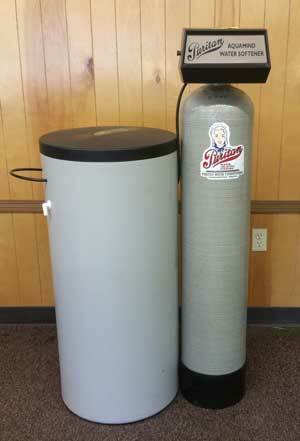 The water softener extends the life of the anion resin and increases tannin absorption. Fixes Your Green or Blue Stain Problem! Consider the HydroBlend SC-605 Scale Control System that prevents scale build-up in your pipes and water heaters. Overtime HydroBlend also helps soften and remove existing mineral scale deposits. Reverse Osmosis (R.O.) 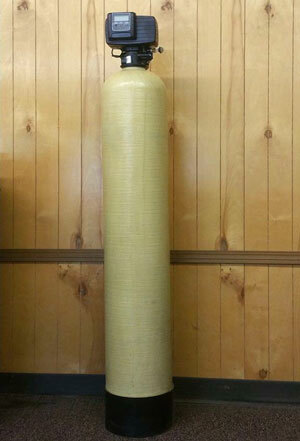 is one of the most convenient and economical methods of reducing unwanted contaminates in your drinking water. Reverse Osmosis is the process by which water molecules are forced, by water pressure, through a semi-permeable membrane. Most of the impurities and other contaminants are rinsed to the drain while the refined water is routed to a special holding tank. 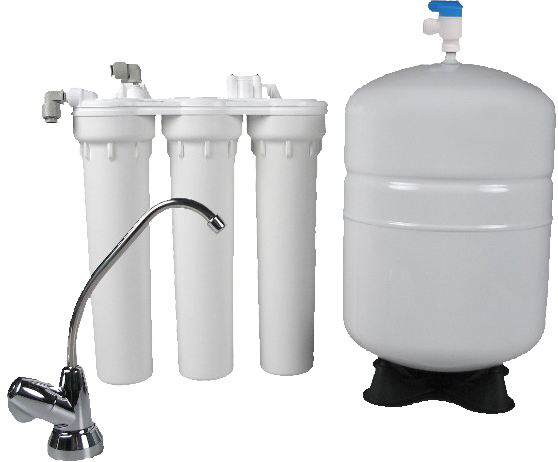 The Microline Reverse Osmosis Drinking Water System uses the latest advances in plastics technology to produce the most streamlined and user friendly R.O. system on the market. What sets the Microline apart from other systems is its patented design. Injection molded from FDA compliant materials, the system directs the flow of the water through each filtration step without the need for tubes or fittings. This design also contains major component parts like the water saving automatic shut-off, drain control and safety check valve, making it easy to maintain and service. Another Microline innovation is its patented membrane seal. This feature makes membrane replacement a snap without the need for tools. Let Microline provide the quality water you deserve – you’ll taste the difference. 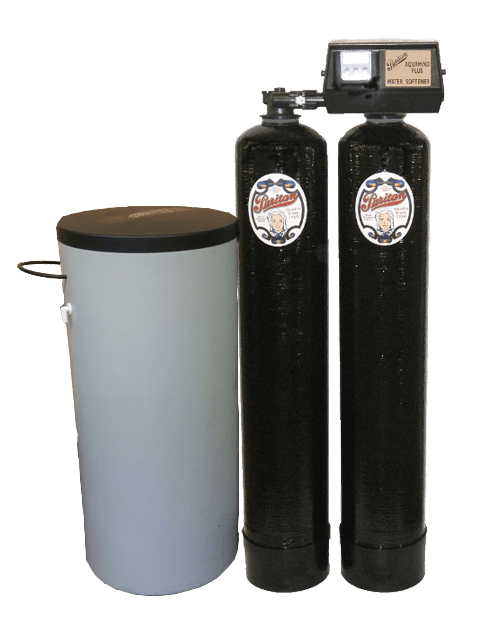 Reverse osmosis systems should work in conjuction with a water softener to maximize the life of the filters and membrane. We Know... It's A Lot. Just give us a call and we can figure out just what you need!